Overview: One month ago a wine industry icon passed away. Peter Lehmann is considered to be one of the pioneers of the modern wine industry in Australia. The original Baron of Barossa was known for his innovation and passion for the industry. The Peter Lehmann brand will remain an immortalization of the man and reflect all that he had achieved. The H & V range, or Hill and Valley, is a relatively new label on the market. Before tasting this wine I had not visited the H & V range. 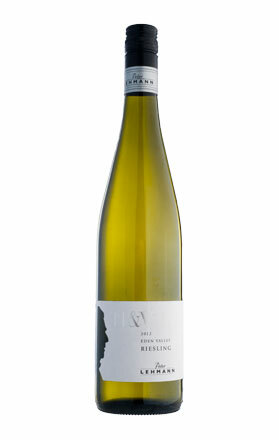 This Riesling comes from the Eden Valley which is a sub-region of the Barossa Valley. Its higher elevation ensures cooler climates, perfect for growing Riesling. Tasting note: A delicate nose of talc, citrus and an underlying minerality that continues through to the palate with powerful lemon pith characters but finishes with elegant floral notes. A great example of pure, clean fruit and boosts a modest alcohol content of 10.5%. Overview The blending of Shiraz with the white skinned variety Viognier originates from the Rhone Valley in France. In Australia it is a marketing decision as to whether to label a wine ‘Shiraz Viognier’ instead of ‘Shiraz’ because in most cases Viognier is added at under 15%. While there are people who believe they don’t like Shiraz Viognier but like Shiraz the truth is in most cases there is a little bit of Viognier into Shiraz in small amounts. Viognier adds lift and perfumed aromatics to Shiraz. Like any big boof-head Shiraz needs a feminine counterpart to add an element of elegance. Tasting note: The nose of this wine consists of dark fruit characters, plum and mulberry with cedar undertones. These luscious plum and berry flavours carry on to the palate supported by soft, chalky tannins. Finishes elegant and soft.